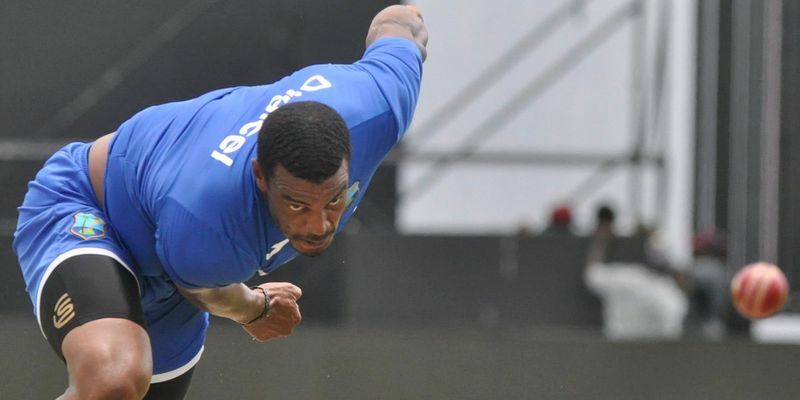 Windies pacer Shannon Gabriel has formally apologized to England skipper Joe Root and anyone else who was offended by his on-field homophobic remarks during the St.Lucia Test. Gabriel added that he was attempting to break through his own tension while sledging at Root and Joe Denly. Shannon Gabriel, who was handed a four-match ban by ICC, came out with an "unreserved apology" directed towards England skipper Joe Root. The apology was in relation to the verbal altercation that took place on the third day of the St. Lucia Test that the visitors eventually won to prevent a series whitewash. The pacer released a statement after his ban was sanctioned which gave an insight about his side of the verbal altercation. Gabriel specified that the incident took place in the heat of the moment as his team was under pressure during the game. "To my team-mates and members of the England team, especially their captain Joe Root, I extend an unreserved apology for a comment which in the context of on-the-field rivalry, I assumed was inoffensive and sporting banter. I know now that it was offensive and for that I am deeply sorry. "The exchange occurred during a tense moment on the field. The pressure was on and England's captain Joe Root was looking at me intensely as I prepared to bowl, which may have been the unusual psychological strategy with which all Test cricketers are familiar. I recognize now that I was attempting to break through my own tension when I said to Joe Root: 'Why are you smiling at me? Do you like boys?' His response, which was picked up by the microphone, was: 'Don't use it as an insult. There's nothing wrong with being gay.' I then responded: 'I have no issues with that, but you should stop smiling at me," Gabriel’s statement read. In addition to the ban imposed on him, the Trinidad-born pacer was also fined 75% of his match fee and hit with three demerit points for the Level two offence. The 30-year-old was expected to feature in the four-match ODI series against England but will miss the series as a result of the ban. Shannon Gabriel releases statement offering “unreserved apology” for comment made to @root66.